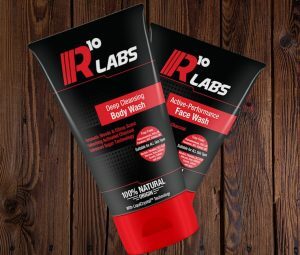 The Shower Pack contains the Active-Performance Face Wash (125ml), Deep Cleansing Body Wash (175ml) and optionally – the Hybrid Shaving Gel-Oil (100ml), all packaged up with a healthy discount. Start your day with vigour from the revitalising burst of sharp and deliciously sweet citrus scent. Formulated with the guidance of expert dermatologists, our natural, sugar based body wash will power through dead skin and excess oil, leaving your skin fresh & clean. Olive oil ensures your skin stays supple and soft, never dry and tight. Citrus oils have a natural antibacterial action to help with unwanted body odour. Step out of the shower feeling like a champion. The ultimate daily cleansing solution, this new concept face wash system based on sugar technology is mild enough to use twice a day & formulated with the guidance of expert dermatologists to cleanse and purify the skin thoroughly of excess oil and dead skin, with the use of citrus oils. The botanical extract of Myrica Gale, effectively fight bacteria causing spots while Olive oil deeply moisturises, leaving the skin feeling renewed & comfortable, never parched and tight. 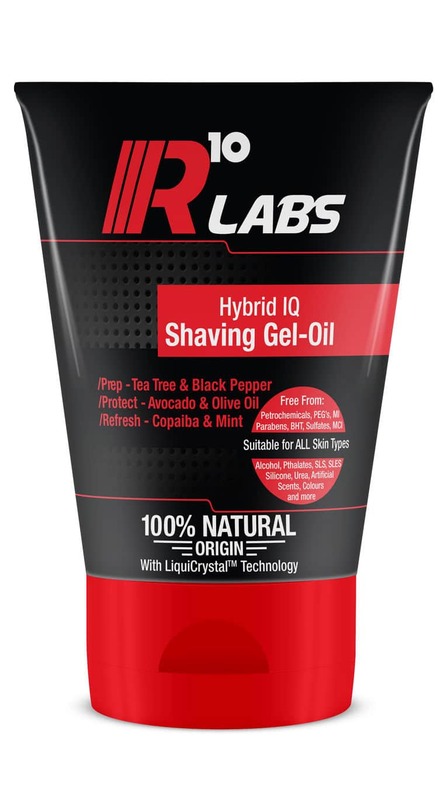 Discover an innovation in men’s shaving; Shaving oil gives a close, clean, friction-free shave. 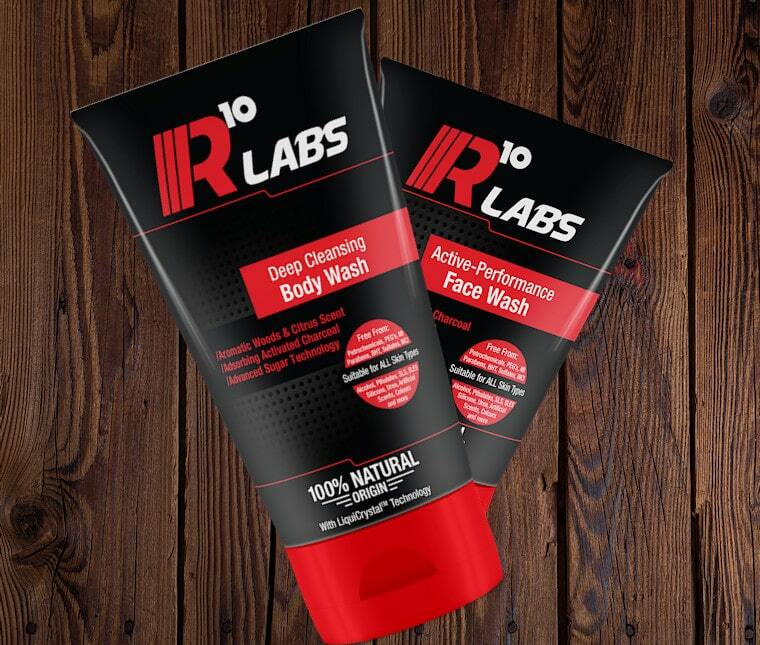 Shaving gel softens the toughest of stubble, washing off easily with no razor blade blockage. 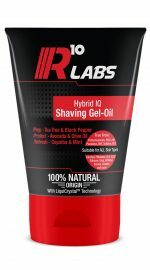 R10 Labs Hybrid Shaving Gel-oil combines the best of both worlds, in one easy to use package. With the anti-spot power of Tea Tree & Black Pepper Extract, the protection & moisturisation of Olive & Avocado oils and the power of Clove, Copaiba and Mint to energise and revitalise the skin.